Goodbye summer & hello fall! Sit back with your pumpkin spice latte and read on to find out which products the stars have aligned for you this month! 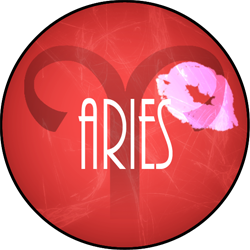 Aries, this month is your power month. Don’t let the shortening days put a damper on your ambitions. A new season means new and improved goals. A change in your professional life will send you in new & positive directions. Your buzzy social life will calm down a bit after the holiday weekend but that’s expected at the end of summer. Before you know it the holidays will be upon us, so get ahead of them in September with new workouts and fitness goals! With such a powerful and eventful month ahead it’s only natural for you to treat yourself to an equally powerful facemask. GlamGlow is known for their incredible skincare items. Launching this month is a revamp on the classic favorite Gravity Mud Mask with Power Rangers. The GravityMud mask is a lifting and firming mask packed with nutrients and ingredients that your skin craves while fighting against signs of aging. What is special about this new limited edition launch is the metallic green and metallic gold colors it comes in. The best part about the classic GravityMud mask is the selfie ready silver color, but with these new colors in the collection you will elevate your selfie and your skin to the next level. Everyone knows that a strong start makes for an even stronger finish so kick off the last few months of 2017 with a bang. Who said your social life had to end with summer? 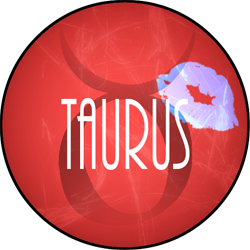 Taurus, this month is about to be the social event of the year for you. While a lot of your friends were packing their summer chockfull of events and soirees you managed to spread your social life into the autumn months. September will not only be social and buzzy in your personal life but in your professional life as well. Look out for networking events in your area, as it’s never a bad idea to mingle with other likeminded professionals. By the end of September you will have made more memories and friends than you thought possible. While your personality is one in a million we want to make sure that during such a social month that you are putting your best face forward too. British beauty powerhouse Charlotte Tilbury created the perfect palette for you to achieve movie star looks. The Filmstar Bronze & Glow Palette includes the perfect contour/bronzing shade and highlight. The contour/bronzing shade creates a perfect warm and natural shadow while the highlight shade adds just the right amount of glow. This month your social life is going to take you on a crazy adventure. Enjoy! 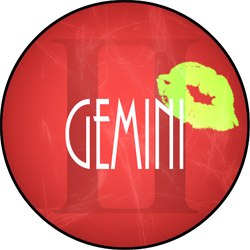 Gemini, September will be a month of dabbling in new hobbies and searching for some new passions. With summer coming to an end and your social life starting to slow down you will find some extra time on your hands. While the weather is still nice make sure to take full advantage of that spare time. Volunteer at an animal shelter or maybe switch from yoga classes to spinning classes. Curiosity in one area of your life will lead to improvements everywhere else in your life. You’ll find that trying something new is actually thrilling and will cause you to continuously want more of it. This month match your complexion to your already glowing personality with Laura Mercier’s Secret Brightening Powder. Adding a little under your eyes will brighten your face and have people wondering how you stay so well rested with all your newfound hobbies. Head into September with an open mind as it is sure to be a fun month! 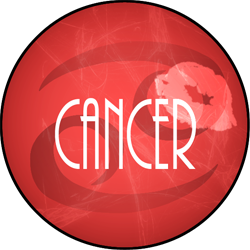 September will be your month to take a break, Cancer. After a fantastic summer and Labor Day weekend you are ready for some much deserved R&R. Your work life won’t be too demanding which leaves you time to enjoy low-key nights with friends either at dinner or maybe the movies. Make sure not to let yourself fall so far into relaxation that you forget about everything else, it’s mainly a month of finding a peaceful balance. With cooling temps and shortening days add some coziness to your relaxing month with Jo Malone London’s new English Oak & Hazelnut Cologne. This warm scent envelopes you in spicy oak notes with a subtly sweet nut finish that will transport you to a cottage in the English countryside. While you may not be snuggled up in front of the fire everyday this month the least you can do is head into September with that sort of mentality. This is a month all about bold moves for you, Leo. You will be very engaged in both your personal, social and professional life and with each one you will face decisions. Be sure to listen to your gut instinct and follow your heart when making the next move. September will bring a lot of fun for you so get ready to kick off your fall with a bang. Make sure you are ready to go because opportunity could come knocking at a moment’s notice. One less stress to worry about is knowing you won’t have to touch up your makeup. The YSL Touche Eclat Blur Primer is perfect for long makeup wearing days ahead. This unique primer mattifies while adding luminosity with its subtle shimmer. It works wonders underneath makeup as well as being worn alone. Going into the new season this primer will help carry on your summer glow for weeks to come! This month is all about work hard, play hard for you, Virgo. September you should put as much on your plate as possible. Work on starting a lot of new projects and then perfecting them later. By beginning all these projects you are sure to open a lot of new doors and with every open door comes new opportunities. It will be easy to get swept up in the craziness but try to make sure you take time to care for yourself. You are sure to feel some exhaustion which is why taking the time 2-3 times a week at night to give yourself a facial peel will keep your face from showing any signs of fatigue. The Glytone Rejuvenating Mini Peel will help rejuvenate, brighten and wipe away any signs of tired, aging skin. Glycolic acid gives this peel the power to exfoliate your skin without stripping it of hydration or natural oils. You’re bound to have a great September so don’t let your hectic schedule show through on your face! 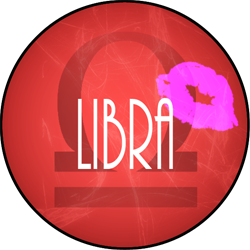 Libra, fall is headed your way and whether you know it or not you are so ready for it. This summer has been crazy, fun and full of adventure but now you are looking to settle down, cozy up and take on the final months of 2017. Take this month to think things through, reevaluate your goals for the year and prioritize them by newfound importance. Pamper yourself as well because you deserve it after working so hard this summer. With temps dropping nothing smells better than something sweet cooking in the kitchen...or in the shower. Take off the day with the sweet and delicious Creme Brulee Creme Body Wash by Laura Mercier. Then, lather on the matching Souffle Body Creme before hopping on the couch for a movie, wine and popcorn night. Sure, summer is great but who doesn’t love the coziness of fall? 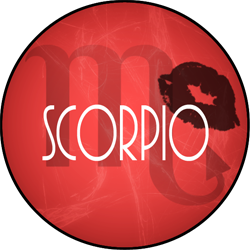 Scorpio, this month allow yourself to some time to think about all the decisions to make. While It’s easy for you to jump into things prematurely and figure it out from there you will be more productive if you actually allow yourself to really think things through. You have had an exciting 2017 so far and going into the remainder of the year make sure you are headed on the right path. It’s easy for all of these new thoughts and changes to stress you out and with stress can come breakouts. Sunday Riley’s new Saturn Sulfur Acne Treatment Mask is perfect when it comes to tackling pesky breakouts. Not only does the mask work on existing breakouts but it also works to keep your oils in check to prevent future congestion. After each use you will notice a clearer and smoother complexion. This month is all about prepping you for the rest of the year ahead. Enjoy your evenings thinking things over with a facemask and a nice red wine; you’ve totally got this! 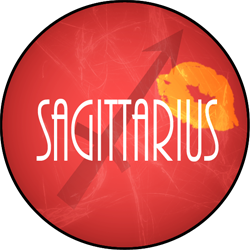 Don’t let the fact that summer is coming to an end get you down, this month everything will be going your way, Sagittarius! This is the time for you to finally start that one thing that you have been pushing off for a while. You have worked hard all summer and this month you are going to start seeing it pay off. With things going so well for you this month you are sure to set yourself up for a strong rest of the year. With the change in season it’s important to make sure you are changing your skin routine as well. Go for a gentle cleanser to keep your summer radiance glowing while prepping your skin for the cooler weather. Tatcha’s Polished Classic Rice Enzyme Powder is a unique cleanser inspired by the traditional Japanese Geisha’s skincare. Pour dry powder into your hand add a bit of water and massage the mixture into your skin. This cleanser will leave behind a bright, radiant complexion and exfoliate any dead or dry skin. The rice powder soaks up excess oils and soothes skin. With everything else going so well for you this month you might as well pamper your skin too! 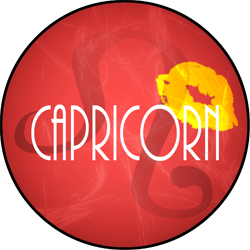 This month may have a rocky start for you, Capricorn. However, don’t let this get you down because by the end of the month you will be thriving. Use the early hardships to push you in the direction of your goals. Reach out to family and friends to help guide you when needed. Remember, you are never presented with more than you can handle. Prep yourself by surrounding yourself with positivity and great people. As you keep your social and professional life prepped and prepared to handle whatever is thrown at you make sure you prep your skin too. Glossier’s Priming Moisturizer is an amazing base to set your skin off on the right direction each and every day. Just a small amount massaged into clean skin will prep your skin by evening, blurring and brightening your face. Let this month bring out the best in your life, skin and health! This month you will question yourself a lot, however it’s important that you stay true to yourself and follow your heart. Aquarius, make sure you take the time to enjoy the small things. It’s in those little moments that you will find the answers to your tough questions. September will be a great month for you in self-discovery and will allow you to set up some strong personal goals. When it comes to the small things even just waking up in the morning to a glowing complexion can start you off on the right foot. Angel Aesthetics is a Colorado based company with the goal to bring you confidence through clear, even and radiant skin. Their Perfection Pads are daily exfoliating discs that not only fight acne and uneven skin tones but diminish fine lines and wrinkles as well. Even the smallest of opportunities are an opportunity worth trying. Enjoy this month and all that it brings you! 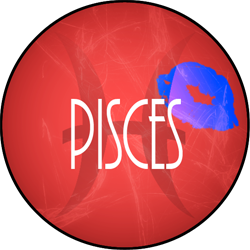 This month, Pisces, you will earn some much deserved and strived for credit. You set some lofty goals at the beginning of summer and now you are making some serious progress on them. With this kind of success there are sure to be new opportunities, keep an open mind when looking to take on these new challenges. This summer you have grown in ways that you may not even realize yet, but just know that you are much stronger now than you were a few months back. Just like hard works adds strength to your professional life, vitamin-C adds serious power to your skincare routine. With summer ending and the days becoming shorter make sure you are giving your skin the nutrients it has been getting all season from the sun. Ole Henriksen’s Truth Serum is a powerhouse product aimed at boosting your skin’s clarity, radiance and overall appearance. September will be an exciting month for you with new opportunities & connections; head into it with radiant skin and positivity!